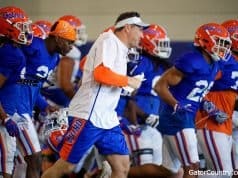 The FAMU Rattlers would need its A game in order to come into Gainesville and head home with a win. 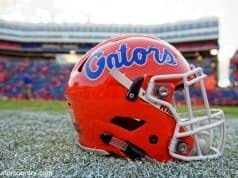 They didn’t bring it and the Florida Gators (21-10) made them pay. Florida put up crooked numbers in the third, fourth, and seventh innings to run away with the final game of a four-game home stand before hitting the road this weekend to face Ole Miss. Nolan Crisp drew the start and the freshman was solid. Crisp threw three hitless innings before being pulled in a controlled start. Freshman David Leuthje picked up where Crisp left off, hurling three scoreless, one hit innings of his own. Florida’s bats took a few innings to get going but they came around in the third. Jacob Young led things off with a double to left field. Nelson Maldonado’s single gave Florida runners on the corners with one out. Kendrick Calilao hit a ball sharply to third base, which Kaycee Reese couldn’t handle. The ball ricocheted off his glove and into shallow left field allowing Young to score. Maldonado rounded second and towards third as Calilao made his way to second. The throw to try and get Calilao out at second went wide and Maldonado scored. The defense wouldn’t get better for FAMU in the fourth inning either. The Gators would score six runs on six hits and three wild pitches in the frame, busting the game open 8-0. Nelson Maldonado and Kendrick Calilao hit back-to-back home runs. It was the first back-to-back home runs of the season for Florida and the first since Jonathan India and Wil Dalton did it against FAU in the Gainesville Regional (6/4/2018). The Rattlers would eventually get on the board when Tucker Rayburn hit a towering solo home run to lead off the seventh inning. Florida would answer with four runs of their own in the bottom half to extend its lead to 12-1. The Gators win on Tuesday gave them a five game winning steak, the longest of the season. 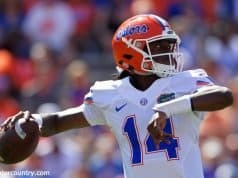 Florida hasn’t lost a game since they were swept during their first SEC road trip at Vanderbilt in March. 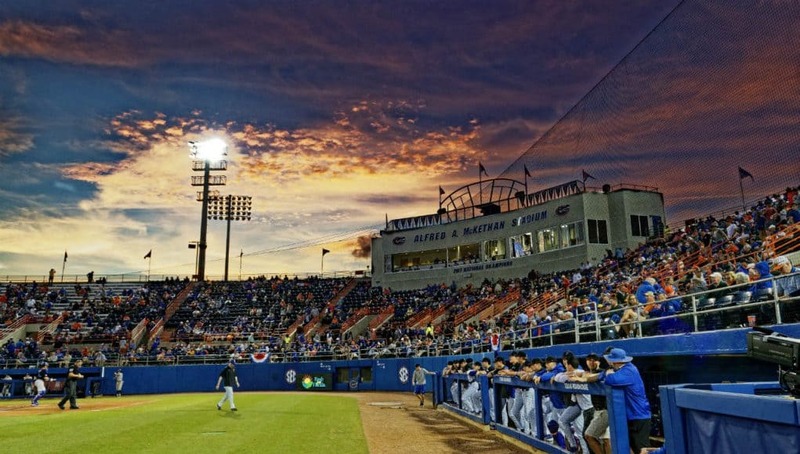 The Gators will head to Oxford, Mississippi this weekend to take on the Ole Miss Rebels (20-10) are coming off of an impressive series win over Arkansas, but stumbled in a 10-6 midweek loss to North Alabama. Austin Langworthy went 3-5 on Tuesday. He’s hitting .471 (8-17) in his last four games. Jack Leftwich is still dealing with a blister on his throwing hand. The issue has bothered Leftwich all season long and caused him to leave his start early last Sunday. Leftwich’s status this weekend is up in the air.